Processing – Payment received and stock has been reduced – the order is awaiting fulfillment. All product orders require processing, except those that only contain products which are both Virtual and Downloadable. When you start taking orders, the Orders management page begins to fill up. View these at: WooCommerce > Orders. 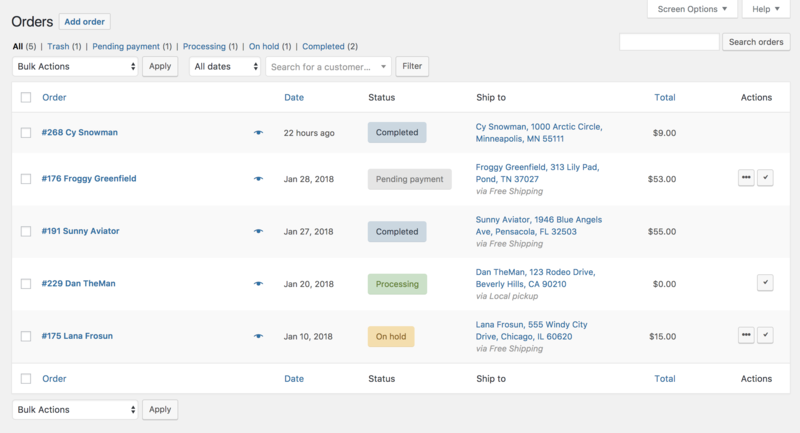 Each row displays useful details, such as order number and customer name, date of purchase, order status, shipping address, and purchase total.